Nanyang will hold its first homecoming activity for local academics form April 2-4 to push forward the prosperous city's talent program. Experts and academics from across the country will gather in their hometown to strengthen their relationships and cooperate on a series of joint projects. 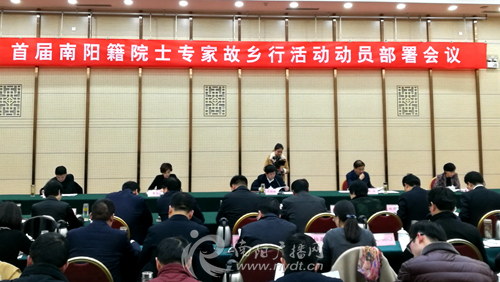 During the event, a number of high-end forums will be organized on modern finance, manufacturing, e-commerce, and the opto-electrical industry. After visiting a number of major enterprises, experts will attend a seminar to offer their professional advice on local industrial development. The event is aimed at developing a think tank to promote urban development and transform Nanyang into an attractive place for talents from around the country. The city has set up a special agency and organized a comprehensive event plan to help attract more talents and ensure their success.